It’s that time of year! Graduates are packing up their dorm rooms, decorating their graduation caps, and saying temporary goodbyes to the lifelong friends they met during their college years. 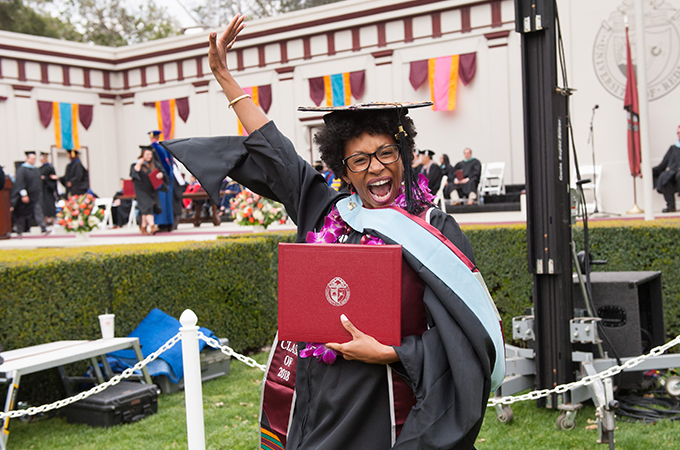 In honor of this year’s University of Redlands Commencement ceremonies, here is a playlist of old and new songs to help Bulldogs across Southern California celebrate. Whether you’re a College of Arts and Sciences student, a School of Education scholar, or a School of Business graduate, press play and relive your memories and remember—once a Bulldog, always a Bulldog. If you aren't a Spotify listener, you can log into your own digital music service and line up these songs (in text format below for easier cutting and pasting). Congratulations, class of 2018! Och Tamale!